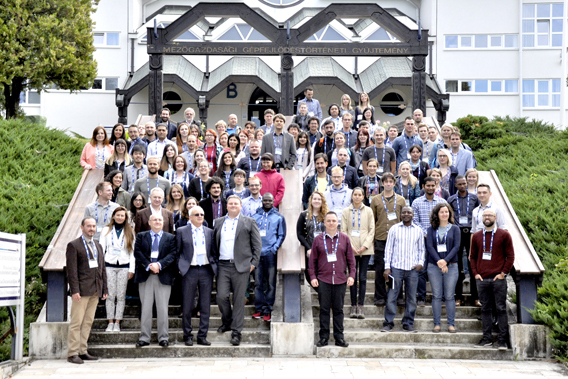 As part ESA’s series of advanced training courses on Earth Observation data exploitation, 74 young scientists from 30 countries gathered at Szent István University, Gödöllő in Hungary, to attend a week-long advanced training course on land applications using satellite data and tools. The majority of the attendees came from universities and were at postgraduate level. A number of participants represented the private and public sectors. The objectives of the course were to train the young scientists to use state-of-the-art techniques in space-based land science and applications, provide a better understanding of the key concepts of current EO missions and data (in particular, the Sentinel missions), as well as offer hands-on experience with software tools and methods used for data exploitation. The event was sponsored by ESA and hosted by Szent István University with support from the Hungarian Space Office. The course was taught by a team of 18 leading European professors and senior scientists. The course was formally opened on Monday, 4 September by the SZIU Rector, János Tőzsér, and Erika Michéli, head of the SZIU Institute of Environmental Science. Following, presentations were made by ESA on the current status of EO missions and the data available to the science community. Overviews of relevant EO-related activities in Hungary were given by the Hungarian Space Office (HSO) representative Zoltán Zboray, and Dániel Kristóf from the Government Office of the Capital Budapest. János Tőzsér, Rector of SZIU, being presented a model of the Sentinel-2 satellite in the name of ESA, by Zoltan Bartalis. Photo: Gusztáv Balázs / SZIU. During the first two days, participants were given an overview of the theoretical aspects of optical, thermal and microwave remote sensing, and the main tools available for processing and visualisation of ESA and non-ESA data, in particular the Sentinel-1/2/3 series. From Wednesday to Friday, experts provided examples and hands-on demonstrations of science and applications in land use monitoring, vegetation and forest mapping, urban mapping and heat islands, terrain motion, the monitoring of land-based processes of the water cycle, and new developments in cloud computing. Students at work in the SZIU computer labs. Photo: Zoltan Bartalis. During the week, there was a dedicated poster session where the students presented their research. The session was adjudicated by the course scientific committee and 5 posters were selected for the best poster awards. 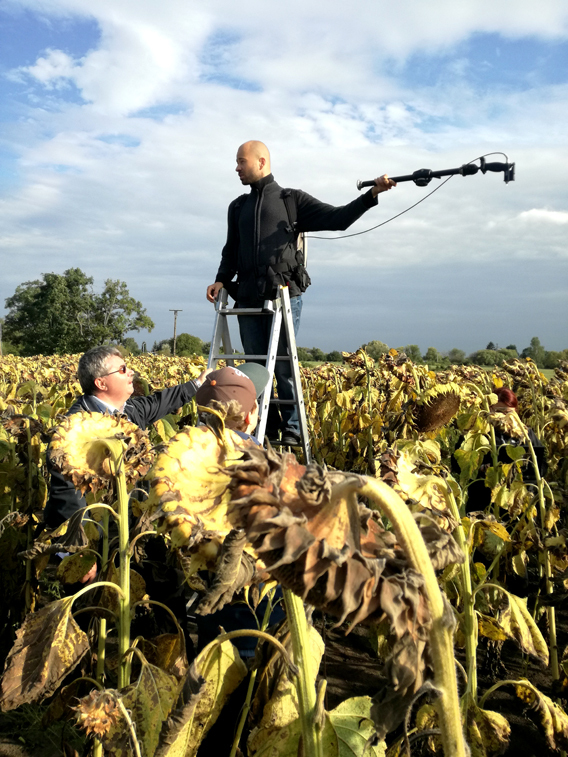 For the first time during an ESA training course, a field trip was organised and demonstrations were given on field spectroscopy and collection data using a drone. The field visit focused on examining the effects of seasonal standing water on agriculture, crop loss by ponding water being a major issue Great Hungarian Plain. This was supported by time series analysis of Sentinel-2 imagery during the last day of the course. The course material, videos of the lectures, poster contributions and interviews with lecturers and participants will be available at http://eoscience.esa.int/landtraining2017. Carrying out field spectroscopy measurements near the village of Csány, Hungary. Photo: Bernadett Gálya. Participants of the 2017 ESA advanced training course, SZIU, Hungary Photo: Ádám Csorba. “It was really motivating for me to meet such well-qualified lecturers and so open-minded participants. I had already used these toolboxes, SNAP and PolSARPro, but only for one specific task. 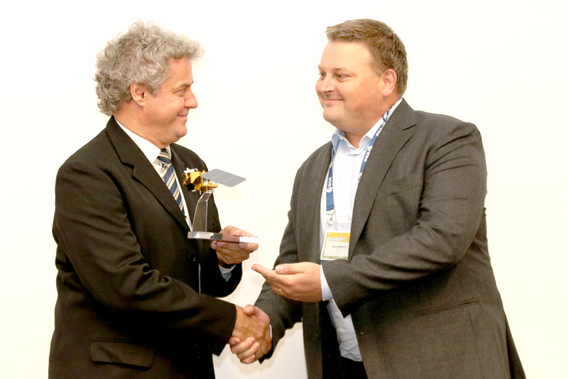 I found it interesting to see that they could be used for many more things connected to remote sensing.” – Vivien Pacskó, Eötvös Loránd University, Hungary, winner of the best poster award in the category “Radar Remote Sensing”. “The participants were fantastic, they come from very different backgrounds and sometimes did not really study engineering. We presented to them some quite complex physical processes and techniques and they really got involved all the time, and tried to transfer our techniques to their problems. They are the future of what we are doing.” – Laurent Ferro-Famil, Université de Rennes 1, France, lecturer at the course.